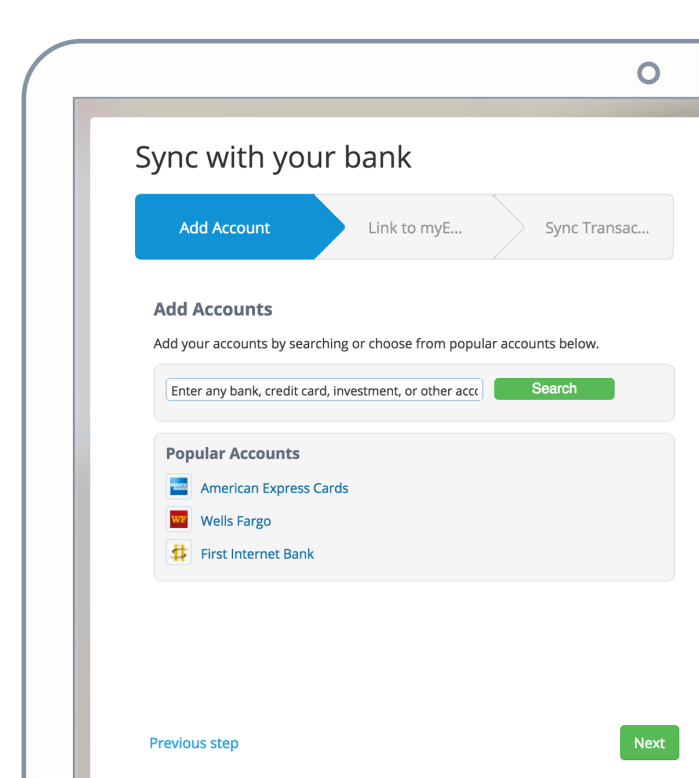 OneUp synchronizes with your bank and does the hard work for you. Validate suggested entries and books are done. Enter bank credentials to let OneUp ACCOUNTING retrieve daily bank transactions, or upload a CSV file. Teach ONE UP to match bank entries. If ‘CB Office Depot ’ is on the uploaded bank entry, create a New Expense creating ‘Office Depot’ and select the ‘Office Supplies expense category’. The next time you connect with your bank, OneUp ACCOUNTING remembers your choice. After a few days of learning your behavior, you’ll see green buttons prompting you to validate or refuse OneUp’s suggestions. 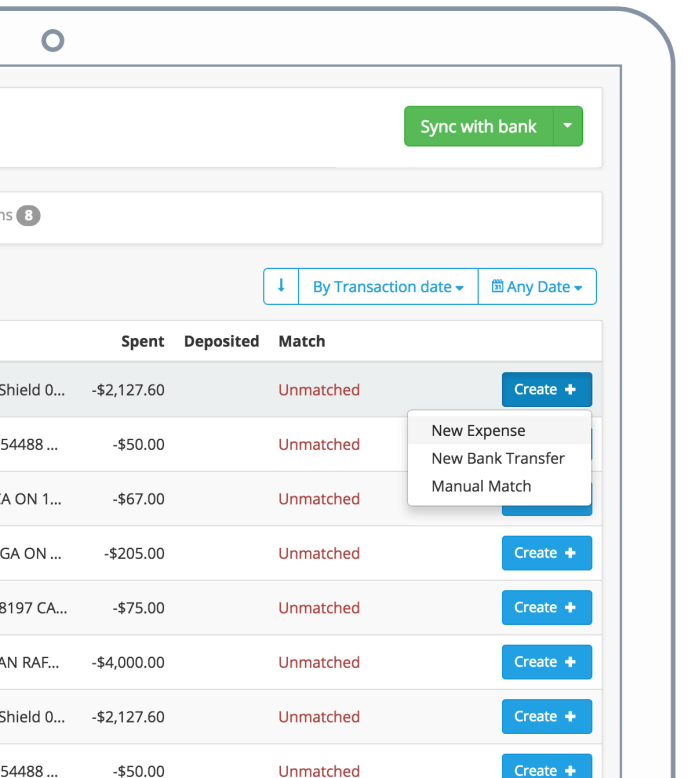 OneUp ACCOUNTING is so smart it matches a bank transaction with existing overdue invoices, vendor bills, or bank transfers or creates a new one if needed. OneUp delivers cashflow and profit information daily. 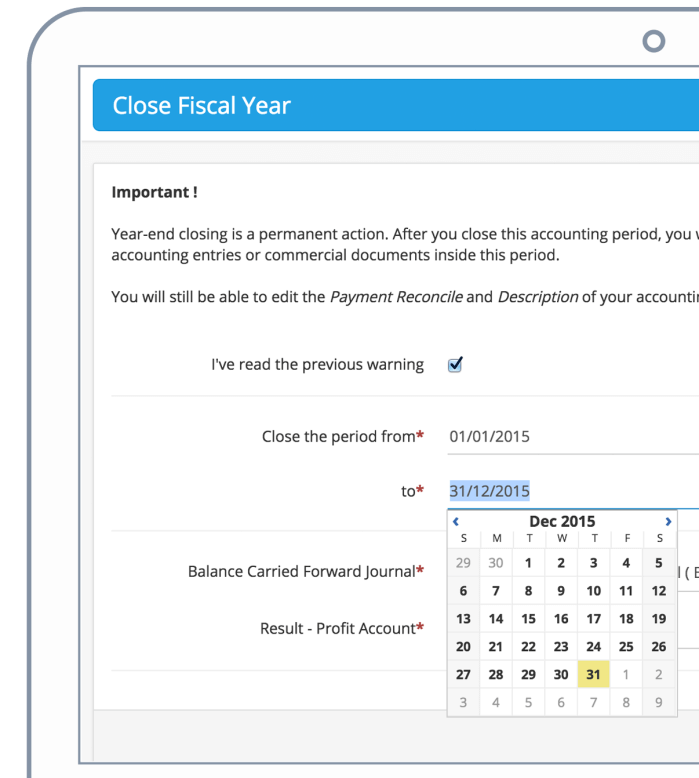 Stay on the top of your finances and be informed instantly. OneUp calculates sales tax for every period so you know exactly what needs to be paid. When year-end closing comes, be ready in a snap. Your accountant can log in to OneUp ACCOUNTING to audit your books or export all the financial records to their preferred software.